"We can be. We believe in each other... that's everything. We are going to do great things. It's an experience - love, tragedy, joy... it's something that people will feel belongs to them." - Freddie Mercury. Grew up in a family that loves music, I was familiar with Queen's songs. My brother, he loved rock and roll so much. He grew his hair up to his shoulders, dressed up like a rock star and went to uni like that! He was very cool! I mean, he dressed up like a rock star and took Law as major. Cool, wasn't it? His room was next to mine and I could wake up either to Metallica or Queen, depending on his mood that morning. So yeah, Queen was pretty much one part of my life. When I watched the trailer for the first time, I was so surprised. But learning from experiences, I didn't let myself to have high expectation. I love Rami Malek, but biopic always let me down. One fine Monday, I went to the cinema, bought myself a nice pumpkin spice latte and popcorn and prepared to enjoy the movie. 134 mins and I didn't touch my drink neither my popcorn. I was so busy watching the movie. The whole time, I forgot it was a film, not a documentary. It felt so real! 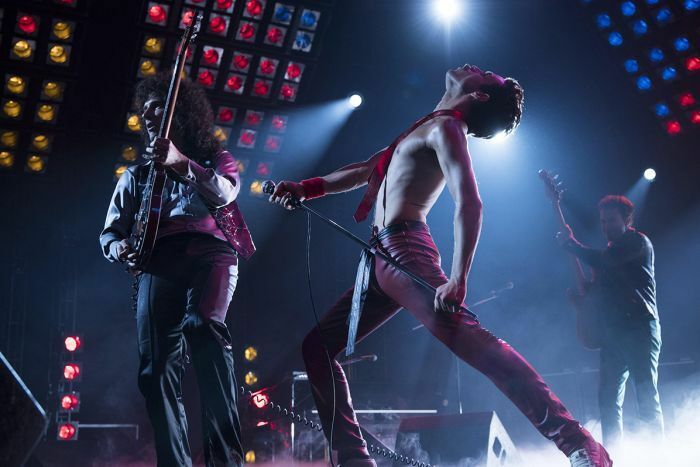 I didn't know if the story was authentic or not, but for some moments - especially when they were on the stage - I didn't see Rami Malek acted as Freddie Mercury, what I saw Freddie Mercury did his things. I felt elated and also sad at the same time. Happy because of the songs and how it portrayed on the screen, sad because they are no longer the same now. This film focuses on Freddie Mercury's life, both in his musical journey and also love-life. I have to say the film did a good job to show how he and his bandmates became the legendary Queen but also there are some plot holes or some moments that seemed rushed. Throughout watching this movie, I had so many "I need more!" moments. I love how great the stage moments are, how the on-screen bond is just so beautiful. I love they didn't let us down with the casting-wise. The recording scenes, the quarantine-sort-of scenes, everything about the band is just brilliant. But honestly, I want to see more. I want to see more of those writing, recording, producing moments. I want to see more of his life with his bandmates. In terms of his relationship with his family, it portrayed really well. As someone who didn't follow Mercury's life, now I understood his relationship with his father wasn't good, but also, there were some scenes that I thought had the potential to be more. I want to see his relationship with his mum and sister, I want to see more of his daily life before Queen. I need to see how he found out about his passion for music. More of the story, this biopic also focused more on his relationship with his long-term companion, Mary Austin, or as he said "love of my life." than his gay relationships. The relationship with Mary was very beautiful, Mary is a very beautiful human being indeed. It is definitely one of my favourite moments from the film. Mary Austin is simply one of the best female characters in film history. I still don't understand how Mary coped up with everything. She loved Freddie so much, they were supporting each other. Freddie said Mary was the only one who believed in him, the only one who supported him in every way he did. Even when Freddie came out, Mary didn't angry. She was hurt, yes, but did she blamed him? Did she ask him to leave her alone? No. From Mary, I learn that love is not about loving in return. It's about who you want to give your love to. It's about how to love someone especially when you're the one who needs to be loved the most. However, Freddie's sexuality is also one of the biggest parts of his life. The film only showed a few moments of his journey to find out his sexuality, not that I complain, but as a biopic, I thought it would be important to show the bond he had with men as well. 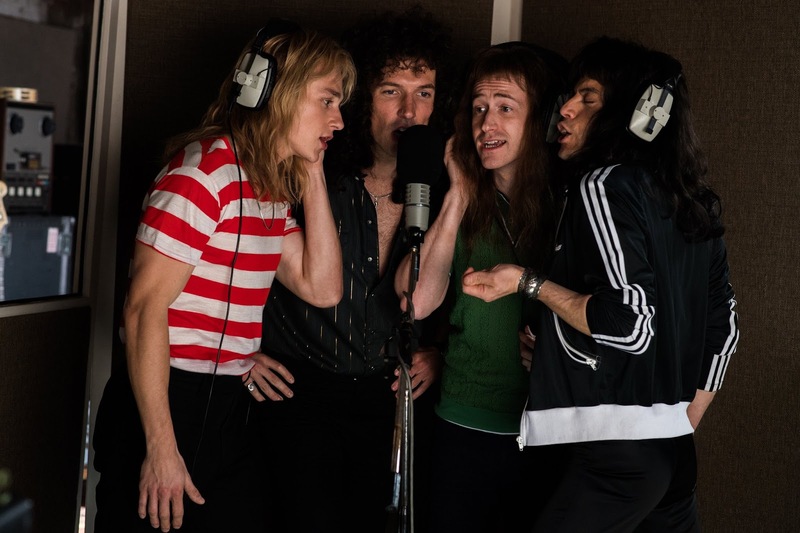 Bohemian Rhapsody is more interested in Freddie's journey to find a love of his life than exploring the meaning of love. Overall, I love Bohemian Rhapsody. I believe everyone can see watch this movie, not only Queen's fans. Rami Malek's performance is astonishing, one of the film performances that can't be missed!